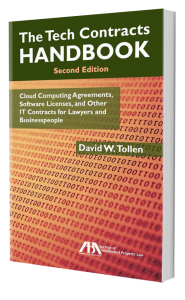 With little or no formal training on tech contracts, many professionals expose themselves and their companies to expensive mistakes. Learn-as-you-go education and a lack of confidence often leave contract negotiations bogged down by uncertainty and open the door to disputes and litigation. Training and other resources from Tech Contracts Academy™ speak in plain English. They give professionals confidence in their knowledge and skills – with the goal doing better deals faster.